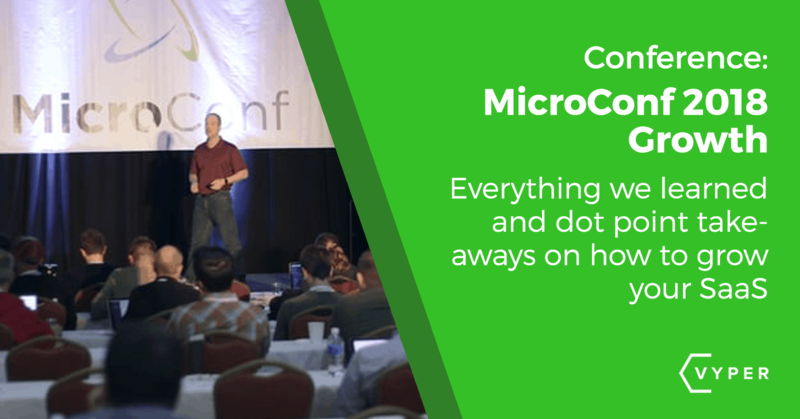 We recently attended MicroConf 2018, the conference built for bootstrapped startups like ours, and these are the main takeaways we got from nerding out for 3 days! These dot points will help summarize the speakers that were addressing the core components of running and growing a SaaS. 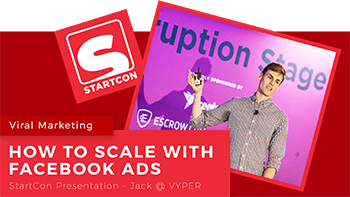 There’s plenty of information that can also be applied to non-SaaS companies so browse the summary and then click on the links if you want to learn more from that talk! Onboarding growth hack – Send an email from the founder cc’ing head of support asking the end user if they need any help with anything. This personalizes your company and makes it seem like there are real people working there (instead of a nameless corporation). Raising prices sometimes just means more money. – It doesn’t always mean lower conversion rates. Test a pricing change and see if that affects your conversion rate. If not, you’ve just instantly added more MRR. Grandfather existing customers so they don’t get mad. Write like a human, not a keyword stuffer. Google’s algorithm can tell when a reader is having a good or bad experience on your site, and if you write like a keyword stuffing bot, Google will penalize you (most likely because readers will bounce quickly). Sometimes “weirder” sounding phrases are searched more. For example, “entrepreneurial conference” was searched more than “conference for startups” according to Ahrefs. Do your keyword research (using tools like ahrefs, google keyword planner, longtail pro) before you decide to optimize for a phrase that you “thought” was going to be more popular. Text optimization is more important than image optimization for ranking. Especially if you show data in a more interesting format. She gave an example of a design website using Star Wars analogies inside an infographic to teach design principles. Mashups with popular culture references or relevance to subcultures have a built-in audience that will share them for you. This was a very interesting talk, which gave us a different perspective on what growth is and how sometimes it can be bad. For example, if you’re scaling your customer base too high, but you’re alienating your customers because you don’t have enough support reps.
Making more than 1 product is not bad – if investors can invest in multiple companies you can create multiple businesses. Use templates, video recorded instructions to teach outsourced resources. This is definitely something we need to work on at VYPER, and we’re still in the process of starting to outsource more and more of our work. FE International helps founders sell their SaaS companies if you’re trying to sell your company hit them up! One time sales can be very profitable, recurring revenue is not the end all be all. Chad created a board game tables company that made $3.6 million without recurring revenue. Look for opportunities to get your LTV up front, even if it is a 1-time purchase. This was our favorite talk of the conference so we highly recommend you check out the link above. How are you going to get $2k of growth this month? Work backwards from your goal. Don’t worry if you don’t hit your goal, Teachable misses them 50% of the time. It means you’re setting good goals. Customer support should drive more revenue because you’re helping customers get the most out of your product. It’s not just about solving problems. Hopefully, you can take away some value from these dot-point summaries to use in your own business. Leave a comment below to indicate which speaker had the most value for you along with your company link! Get your FREE Download on how to launch an eCom store using VYPER’s viral contests.